The Grateful Dead was an American rock band formed in 1965 in Palo Alto, California in the San Francisco Bay Area amid the rise of the counterculture of the 1960s. 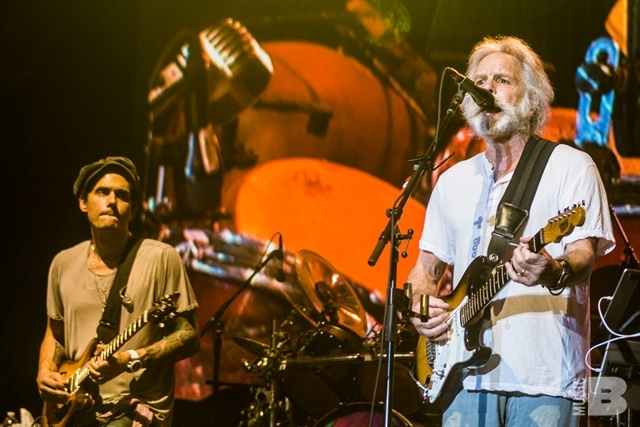 The founding members were Jerry Garcia (guitar, vocals), Bob Weir (guitar, vocals), Ron "Pigpen" McKernan (keyboards, harmonica, vocals), Phil Lesh (bass, vocals), and Bill Kreutzmann (drums). 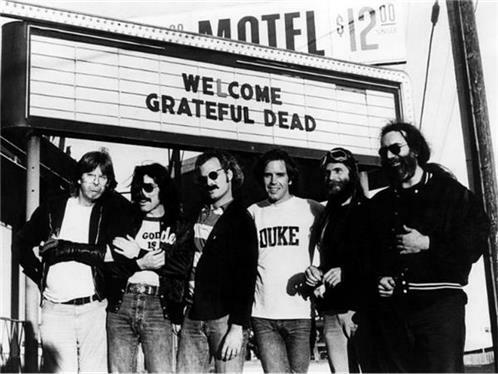 Ranging from quintet to septet, the band is known for its unique and eclectic style, which fused elements of country, folk, bluegrass, blues, reggae, rock, improvisational jazz, psychedelia, space rock, for live performances of lengthy instrumental jams, and for their devoted fan base, known as "Deadheads". "Their music," writes Lenny Kaye, "touches on ground that most other groups don't even know exists." These various influences were distilled into a diverse and psychedelic whole that made the Grateful Dead "the pioneering Godfathers of the jam band world". The band was inducted into the Rock and Roll Hall of Fame in 1994 and have sold more than 35 million albums worldwide.